The morning of 5th December, 2014, 04:30 am at Garudmachi, amidst the lap of nature in the Western Ghats of Maharashtra was nothing less than being vibrant. The silence of the night was broken with the chattering of the trail walkers getting ready of their big walk and a band playing on one side. 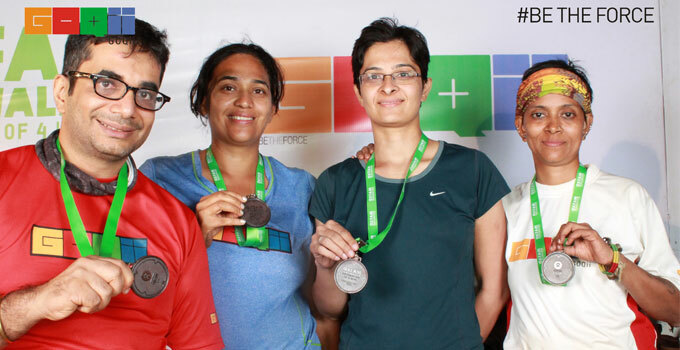 I was excited just by the thought of participating in the Oxfam-GOQii 100 km trail walker for the first time. I knew of it as an adventure race but it had another challenging task of raising funds- a minimum of Rs 50,000. Last year, I tried to put a team together but was unable to do so. People did not want to even attempt because of having to collect funds. 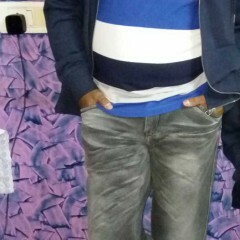 I found that silly but could not do much. This year when Vishal Gondal asked me to be part of his GOQii team and yours truly readily agreed. As a team ‘Force of Good’ comprising of Vishal Gondal, Harpreet Gondal, Vandana Trivedi and myself had pledged Rs 100,000 for Oxfam Fund raising and have managed to raise 80% and the balance will be raised in few days as we still have time. Oxfam’s Mumbai Trail Walker is the world’s 3 most difficult and beautiful trek I was told. This trail walker in the Sahayadri hills was nothing but pure trekking. For mountaineers and trekker this would be a known playing field but for many out there it was an absolute blind trap. The 100 km trail walker in my sense is a test of your endurance, physical fitness, mental strength, team spirit, leadership skills, crisis management and the power to make the right decisions. For me personally this was the first time that I was going to walk 100 km in the Sahyadri hills at a stretch. I am a regular walker in the Sahyadri and the Himalayas but yet this was not going to be easy. My focus was on finishing with in the said time frame along with my team while at the same time enjoying the walk with them. Timing was not so much of a concern initially. Just as we were about to start, we noticed the Indian Army’s Maratha Regiment guys. They were participating for the first time and aimed to finish the trail walk in within 14 hours. We were glad to photograph ourselves with these Army men. We started the walk at 6 am on 5th Dec from Garudmachi-High Places Management Development Centre. To get to our first check point we had to walk 10.5 km and the trail passed through tar, mud , an uphill trek path ending at Tamhini main school. The trail was entirely a trek trail in the Sahyadri hills with lots of up hills, dry open field and forest walks and few tar road walks. The morning walk to CP1 (check point) was pleasant but by 11 am the mercury was rising making it difficult for many to walk and slowing down their pace. This was also the trail while many got cramps on the way due to dehydration. For me the trail personally was an easy going trail but, I had decided to walk with my team come what may. We had planned it well. We walked at a pace that was easy for all. Our aim was to finish the trail walker without any injuries and we managed that well. We rested well, ate well, slept well and thoroughly enjoyed our walk. Along the way, I also helped several people with first aid as I always carry a first aid kit with me and also gave few people tips on how to walk. Being a trekker and mountaineer it comes naturally to me to be able to help people and ease their stress. My team and I slowly and steadily managed the walk from CP to CP through the various different types of straight trails, uphills, downhills and sultry hot weather sweating away but yet focused on our 100 km mission. Our target was to get to CP6 (62.5 kms) by 3-3.30 am. We reached CP4 at around 10 pm and we decided to have dinner and leave for CP5 immediately. We started off for CP4 at around 12 am and in the next one and half hour we were at CP5. The other thing that kept us going was our 20 member support crew that used to eagerly wait for us at each CP. They would bring us food, water, electrolyte drinks also helped us with taping our feet, some stretching and they did it all so tirelessly. As the walk started we were surrounded by an eerie silence of the night and had our headlamps and the bright sky full of stars and the moonlight for company. The night trail took us through a mud path, trek path and Tar road ending at Luthravan. I set the pace for my team and they just followed me. What really got us through so fast were the reflector markings on the trail which were absolutely perfect. Walking in the dark proved fruitful as most of your fears are suppressed and all your focusing is on the walk unlike, unlike in the daylight where you end up being a bit over cautious. Thereafter our target to reach CP6 was in 2.30 hours and cover 12.5 km. The route to CP6 once again began on a tar road. For 7 km we walked on the tar road under the bright moonlight and did not have to use our headlamps. Then it took us through a trek path and last few Kms again on Tar road we did manage to reach in 2: 15 hours. 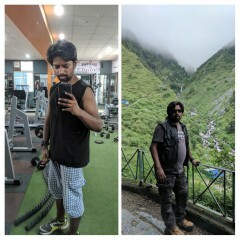 We had completed 62 kms on the first day. By 4 am the team had crashed. We had decided to get at least 3 hours of good sleep and start in the morning by 7 am. Next morning at CP6 we met lot of our other team mates which was wonderful and motivating as well. By this time many had given up due to injuries or some did not have the sheer strength to continue or feel the urge to move forward. Among our GOQIi teams few members had retired due to injury. In all we were 16 teams a total of 64 of us were walking the trail. Teams that continued their aim was to finish the trail walk within the given 48 hours. And am I glad to say that out of 16 GOQii teams 11 teams were complete teams of 4. Of the 64 participants 57 completed the entire trail and only 7 individuals retired. Of these 57, 85% were first timers including me. 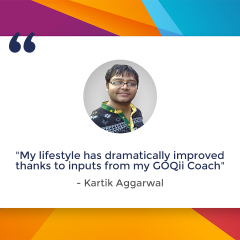 One of the GOQii teams- SNOWLEOPARD led by Kuntal Joisher, a mountaineer who is aiming to be on the top of the world ( Mt Everest) the coming Summer of 2015 and Luke Coutinho, GOQii’s master coach completed the feat in 26 hours and were ranked among the top 10 teams. The other Ace team lead by KK ( Krishna Kumar) also a mountaineer completed the trail as a team in 31 hours despite one member of their team injured. And the poetry was enough for us to keep moving with a smile on our faces. Finally ‘Force of Good’ completed the trail walk in 37:35 hours. All in all, it was a fantastic experience. One met so many strangers on the way who were on the same path to accomplish this treacherous feat that we had undertaken. Many strangers became friends. I realised the trail walk was just not another just endurance event but actually imparts many a life’s crucial lessons. Among a discerning few, the desire to enjoy the experience and deepen the bonds within team members was prominent, completion time being only a by-product. 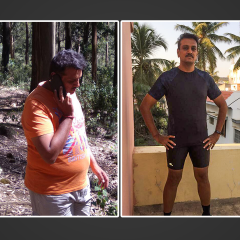 So some of you train for the Bangalore trail walk, the one learning that I take back from my experience is Stay strong and ‘Never say Quit’. Over all 100 km within 48 hours that included tar road, mud path, open fields, stones strewn roads and forest routes.